Growth hormone (somatotropin, GH) does more than help you grow. In adulthood, GH offers protective benefits for the heart. Human growth hormone (somatropin, HGH) is the biologically identical version of somatotropin manufactured by numerous pharmaceutical companies. 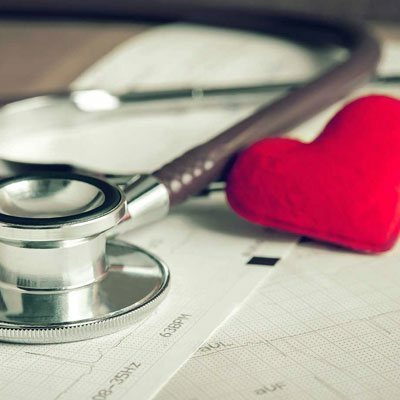 We are going to explain to you today 5 crucial HGH benefits for heart health. The use of GH and HGH is often interchangeable in writings. Ultimately, they apply to the same thing – ensuring the body has enough human growth hormone at all times. Chronic heart failure (CHF) risk increases with age, as do obesity, high blood pressure, and a host of other health concerns. Many of the changes in the body occur as growth hormone levels decline. Any of these areas can cause problems when not performing up to par. With adult growth hormone deficiency (AGHD), you can suffer widespread issues and systemic breakdowns. HGH does not do these things alone. It has help from another vital chemical – insulin growth factor 1. Also known as IGF-1, this hormone released by the liver in response to GH signals is the prime mediator of somatotropin effects in the body. IGF-1 is as important a player in the use of HGH for heart disease as human growth hormone itself. When GH levels subside, the liver does not get enough of a supply to stimulate IGF-1 production. You wind up with two critical hormone deficiencies. HGH and IGF-1 stimulate myocytes – heart muscle cells. These two hormones are the regulators of cellular regeneration in the body. What happens when you stimulate heart muscle cells? Myocyte enhancement leads to increased cardiac contractility – heart strength. The HGH benefits for heart health do not stop there. IGF-1 also stimulates nitric oxide to improve coronary blood flow, making it an essential cardiovascular neuromodulator. Cardiovascular disease is often related to atherosclerosis, a condition that occurs when plaque builds up on arterial walls. The arteries narrow, blood flow becomes difficult, and, if a blood clot forms, it can lead to a heart attack or stroke. A blood clot that blocks blood flow to the heart causes a heart attack. Improved artery density helps protect against congestive heart failure. A stroke occurs when the blood clot blocks a blood vessel to the brain. 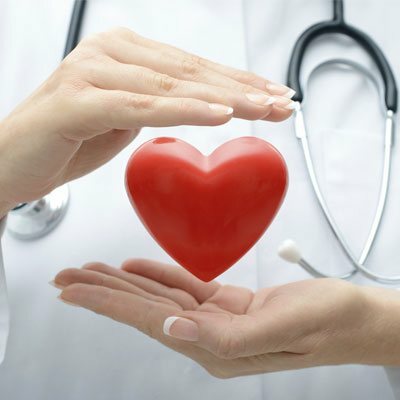 Cardiovascular disease does not always mean heart attack. A person can also have congestive heart failure where the heart does not pump blood as it should. Arrhythmia signifies an abnormal heart rhythm meaning the heart is either beating too fast, slow, or irregularly. Heart valve problems arise when the valves do not open well enough to allow for proper blood flow. If you are deficient in growth hormone, your body will likely let you know in many ways. As we explore HGH and heart issues, you will come to understand the cardiovascular benefits of GH. These changes are important because the left side of the heart is pumping the oxygen-rich blood back into the body. With an increase in HGH, heart problems may subside because you are also reducing peripheral arterial resistance. Another positive benefit of increasing HGH levels is often seen in higher testosterone production. HGH helps stimulate the secretion of this vital androgen hormone that also has protective benefits for the heart. By increasing the blood level of HGH, heart attack risk often goes down. In fact, not only is HGH safe to use following a heart attack, but it has also been shown to reduce the risk of subsequent cardiovascular events. The older you get, the less growth hormone your body produces. This would be fine if all GH did was help you grow. Then no one would need to worry about adult growth hormone deficiency. Unfortunately, that is not the case. When it comes to research about HGH for heart health, one thing is clear – without enough GH, cardiovascular problems could arise. Luckily, individuals diagnosed with AGHD can safely use HGH therapy to boost their growth hormone levels. By doing so, they provide increased stimulation to GH receptor cells throughout the brain and the body. These HGH benefits for heart health can improve the quality of your life and reduce premature mortality. Please contact our hormone clinic for a complimentary, confidential consultation with a medical advisor. We are here to help and offer convenient blood testing locations and affordable treatment options to men and women throughout the US.